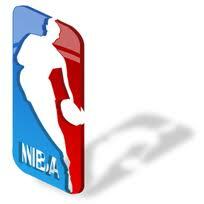 Yep, the NBA is locked out, but it doesn't mean league and player action are dead. We're still waiting to hear when we'll actually see some games, but for now, these events will just have to do. His Airness has been fined $100k for saying the NBA's current model was "broken" and called for revenue sharing for small market teams such as his Charlotte Bobcats. He went on to comment "owners are not going to move off what we feel is very necessary for us to get a deal in place where we can coexist as partners." The NBA prohibits owners from speaking publicly about the labor situation. 2. Players have formed the "Lockout League"
They're still finding a way to get games in. With NBA-sponsored summer leagues out of commission, players are joining Impact Basketball, a training and development group in Las Vegas. The group will host a series of workouts and games with more than 60 NBA players expected to attend. Games will be held Monday through Thursday this week and Monday through Friday next week. Players scheduled to participate include Chauncey Billups, John Wall, Rashard Lewis, Mo Williams, Kyle Lowry, Jermaine O’Neal, Corey Maggette, Zach Randolph, and Stephen Jackson. Many of the 2011 draft picks will participate as well. 3. Players might be getting a major payout! Because of a percentage of basketball-related money teams failed to spend on salaries last season, players could be in for checks during the lockout. According to ESPN, the biggest chunk- roughly $160 million, is the 8 percent from each player contract held in escrow by the league under the terms of the CBA, which expired on July 1. The size of each player's check from the escrow fund is based on what they earned last season. With today being the 74th day of the lockout, more players and owners will attend a meeting to try and reach a solution. Since last week's meetings didn't result in much progress, parties are hopeful increased numbers will help. The 11-time all-star is not phased by the labor struggles the league is facing. He wants back in the NBA and has reached out to trainers to prep for a pending season. The question, of course, is whether teams will be checking for "The Answer" when the season gets green-lighted. For specifics on the lockout, click here. I really miss iverson playing in the NBA. But we cannot blame his carrier for being bumpby and some kind of unfortunate. But we know and witness how he played during his prime years.